I have a love hate relationship with our Elf on the Shelf. To be exact, I hate him and my kids love him. It’s been difficult to co-exist with him during the holiday season. 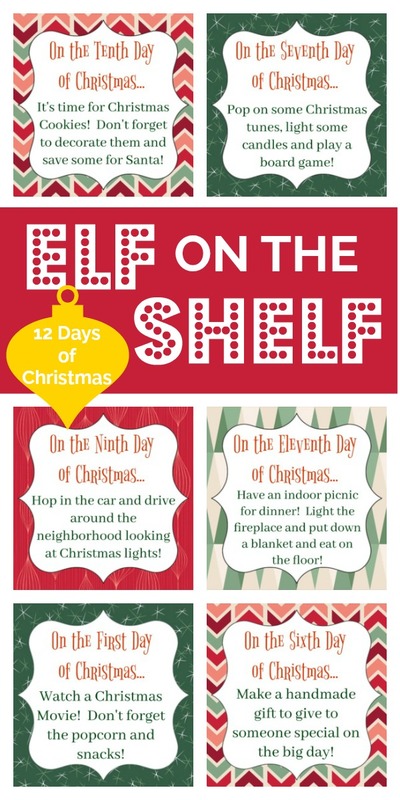 I don’t know about you, but I find it particularly creepy to have an elf who is seemingly inanimate during the day, running around the house at night coming up with all sorts of antics. It’s just weird and he always seems to leave some mess behind for me to clean up. As if I don’t have enough of that to do on a daily basis. But, I’m a sucker for my kids and so, I’ve made a bit of a deal with him. It started last year and if his tiny handshake means anything, it is still binding this year. He can do whatever mischief he wants up until December 13th (which I count as the beginning of the 12 days of Christmas) and then he has to earn his keep and put some thought into his nightly disturbances. 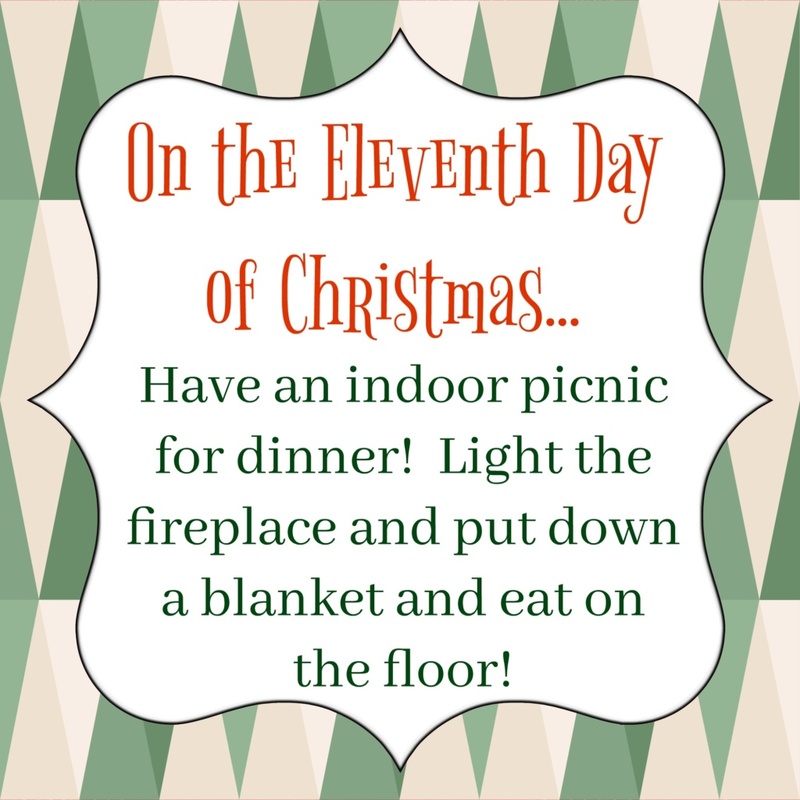 This folks, is where the Elf on the Shelf meets the Twelve Days of Christmas, except no Lords a Leaping or any of that nonsense. 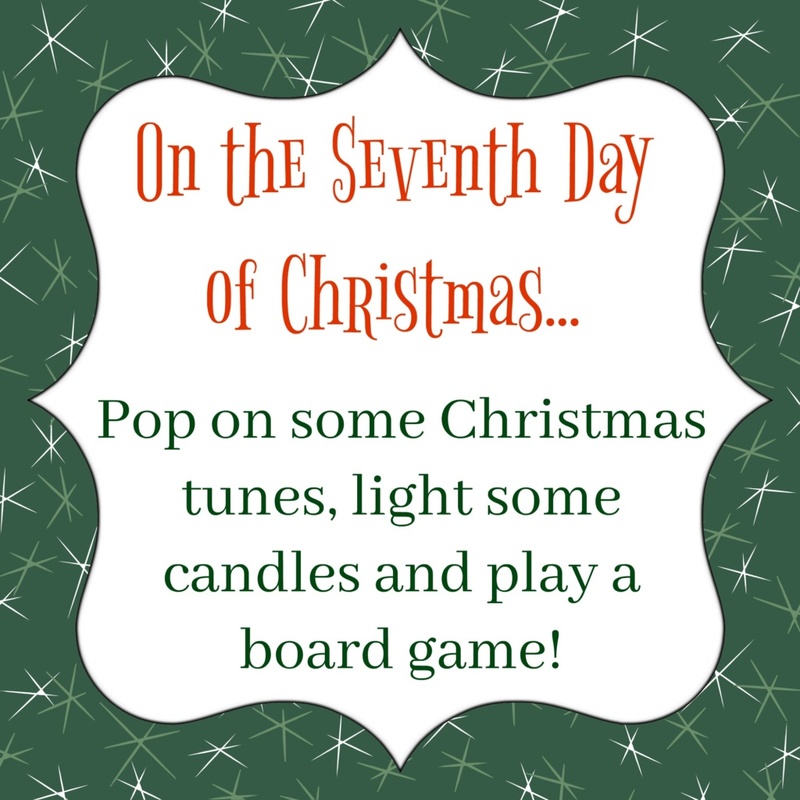 The Elf has to come up with twelve Christmas themed activities to keep the Christmas theme alive in this house. And, I have to say, he does a pretty good job. I’ll let him explain it. 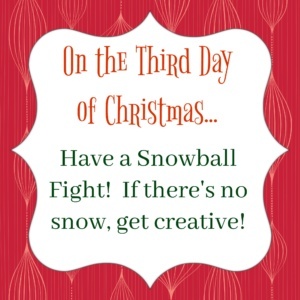 The following is a guest post from our Elf on The Shelf, Snowy. Howdy, y’all! I’m Snowy and don’t listen to the bloggy lady, I’m a right bunch of fun. The kids love me, they do. 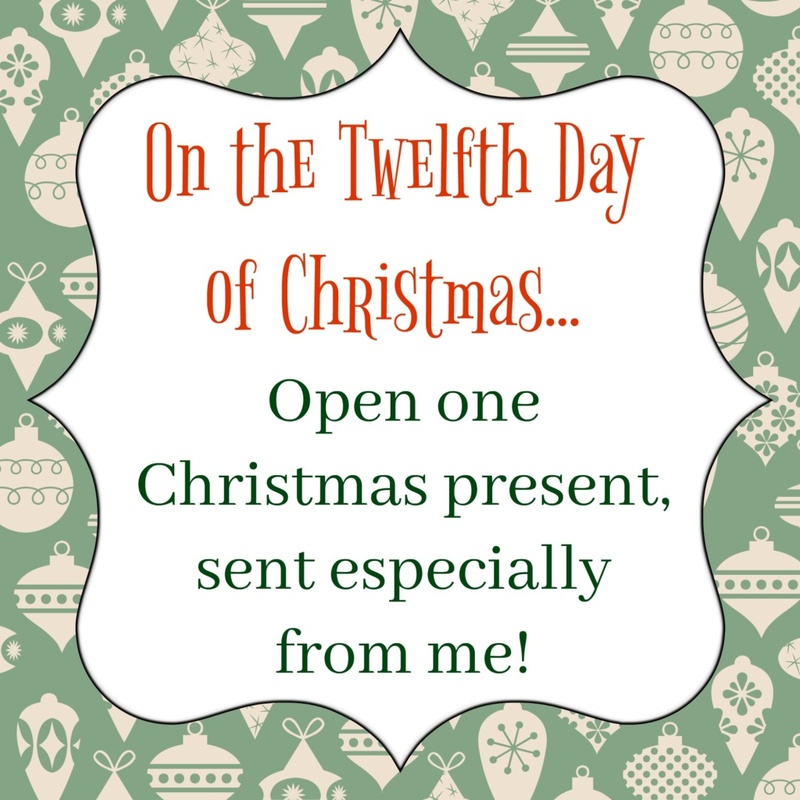 She thinks she came up with this “Twelve Days of Christmas” truce, but she’s wrong. I thought of it and then Jedi mind tricked her into doing it. You didn’t know the elves could do Jedi mind tricks? Well, of course we can! 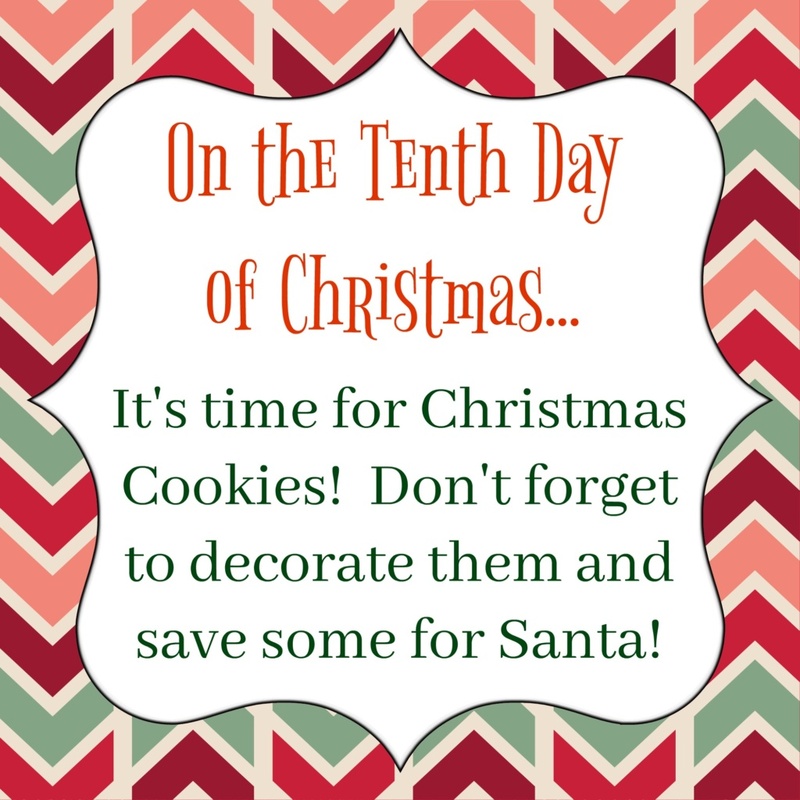 How else do you think we convince housewives to let us run the house for the entire holiday season! “We are not the elves you’re looking for”… bwahahahah! 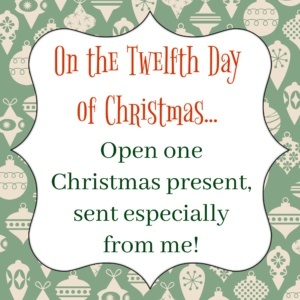 On to the Twelve Days of Christmas bit. It’s quite simple, actually. 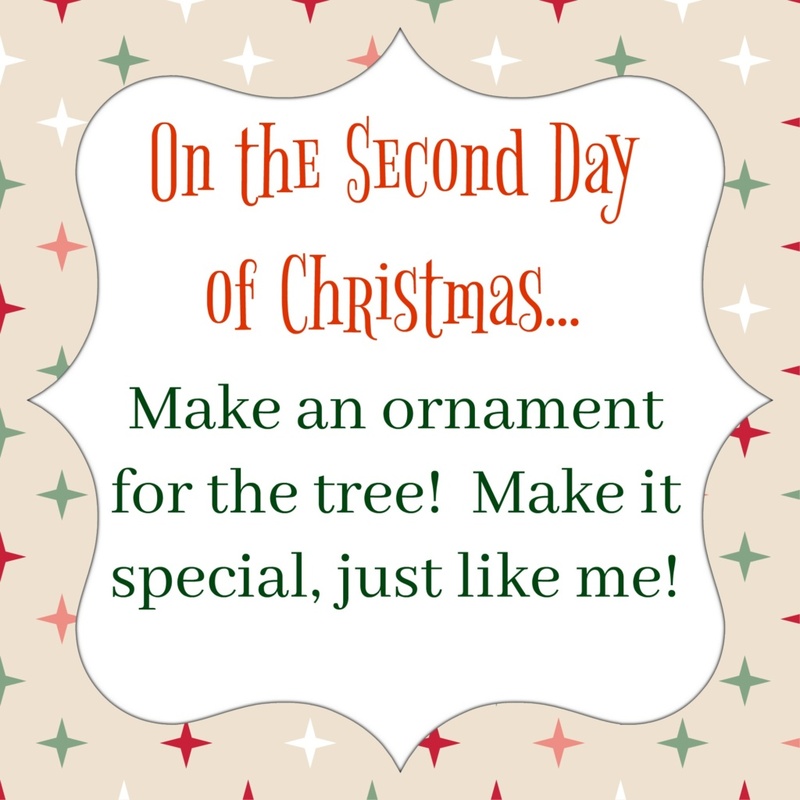 I come up with twelve Christmas-y little tasks and the kids have a ball doing them! It’s right up an elves alley. Truth be told, I just scour Pinterest for ideas, hop on the ladies computer at night and print out instructions. What could be easier? Here’s what’s in store this year for the kids I spy on. Looks like a sleigh full of fun, right? I’ve got all your old Christmas traditions packed into twelve days, plus a couple new ones! Now, if you’ve got a lazy elf who is only up to mischief, I suggest you print these bad boys out and get them to your elf asap. 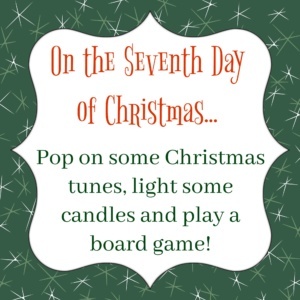 Once he (or she) sees that I’ve already done all the hard work of thinking of activities and creating beautiful Christmas themed printables, he’ll hop right on board. We elves are big proponents of work smarter, not harder. 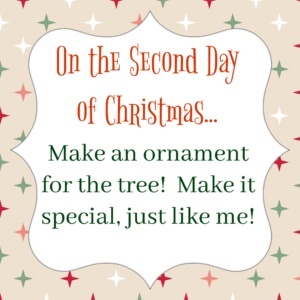 Ok, so here’s how it works, after everyone goes to bed on the 12th of December, I print out the activity for the 1st day of Christmas so that when the kiddos wake up on the morning of the 13th, they see me in my new spot, holding their Christmas Cheer mission for the 1st Day of Christmas. If you want to hand these off to your elf, just right click the photo and choose print. Do me a favor, don’t print a huge 8×10. A simple 5X7 or smaller if you can will do. I like to start off with something simple. 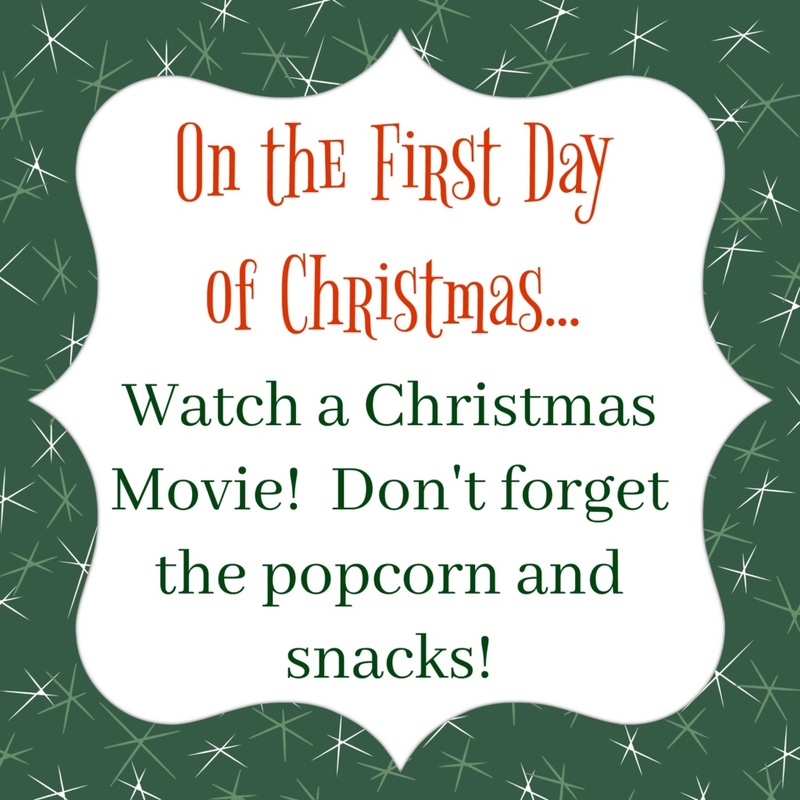 Pick your favorite Christmas movie, pop some corn and sink into the couch for a few hours. This is a win for the whole family. Now this one will take some work on the adults part. I obviously can’t go to the store to buy stuff to make ornaments with. 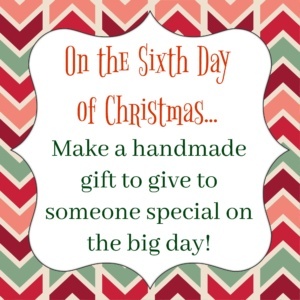 Check out this post for a bunch of good ideas on picking one to make. Maybe let the kids help pick one in the morning and then get thee to Michael’s for the supplies! If you’re lucky, you’ll have snow on the ground for this one. If you’re not, well, get creative! 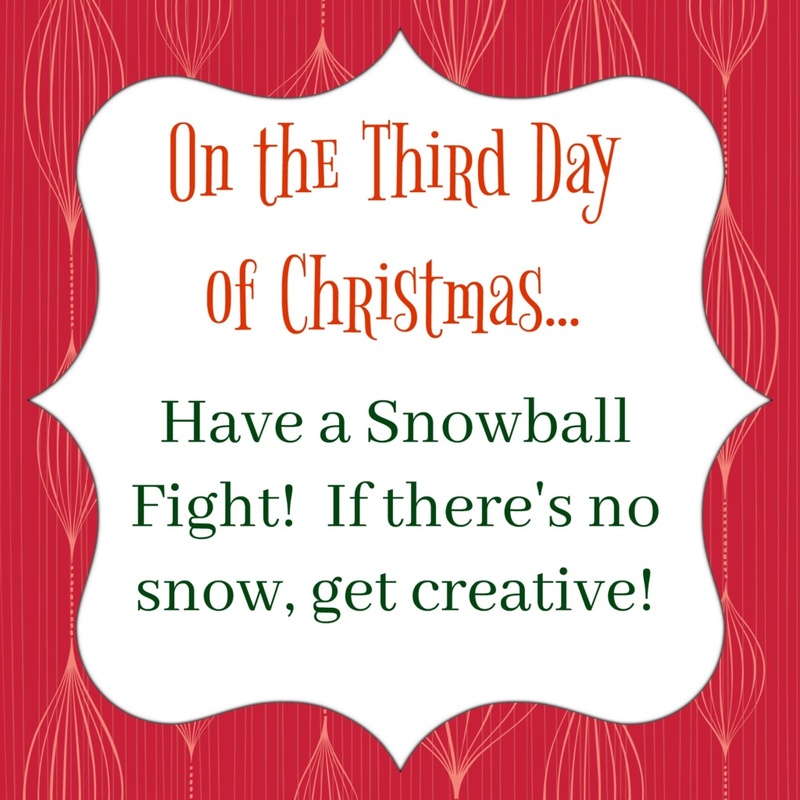 Roll up some socks, scrunch up some paper, make some yarn pom poms and have some fun! Don’t go bonkers over this one. 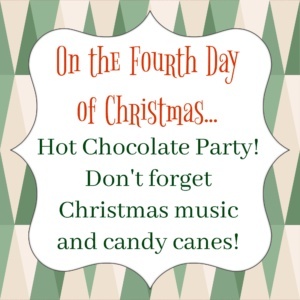 This is simple, Swiss Miss with some candy cane stirrers and maybe some Brownie Bites after dinner. 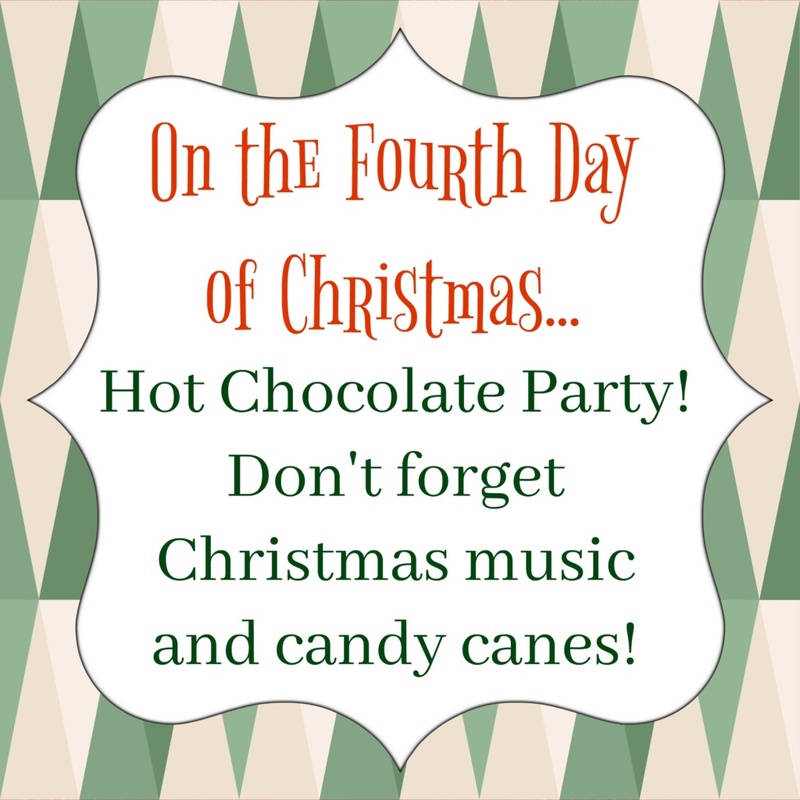 Throw on some Christmas music and you’ve got yourself a celebration. It doesn’t have to be fancy, it just has to be fun! I don’t want to get all sappy on you, but this is the most important one of the list. 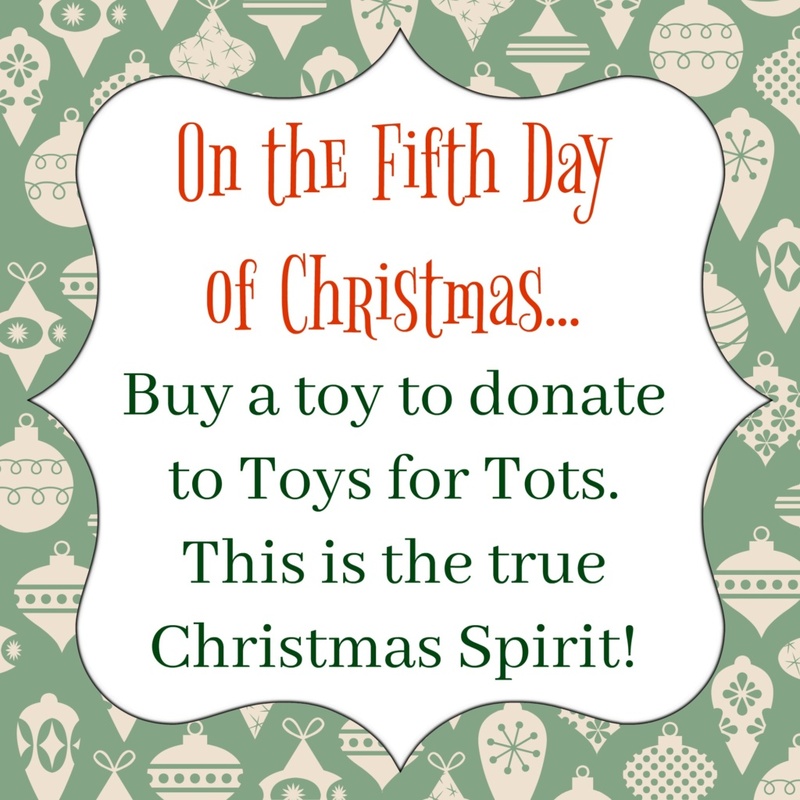 Christmas is awesome, but it’s even more awesome when you give a little. 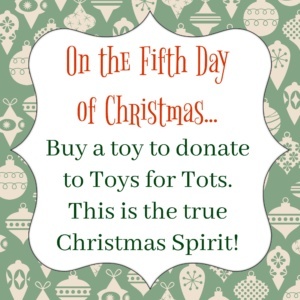 Your kids will love shopping for this special gift. Ok, the big lady of the house made me put this one on here. She loves her crafts. And don’t worry, you can check out this post for stuff to make that people will actually want. Christmas can get hectic, I get it. I see you people running around like chicken’s with your heads cut off. This little activity is meant to get you ALL to slow down and spend some time with each other, ok? Try not to get in a fight over Monopoly, though. Remember the Christmas spirit. This one is so much fun! 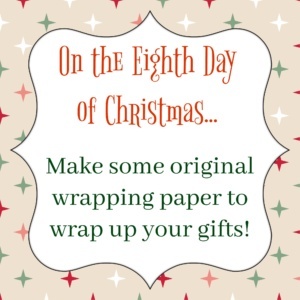 You can get some big butcher paper, or newspaper or even printer paper is fine if you want to just wrap some small stuff. 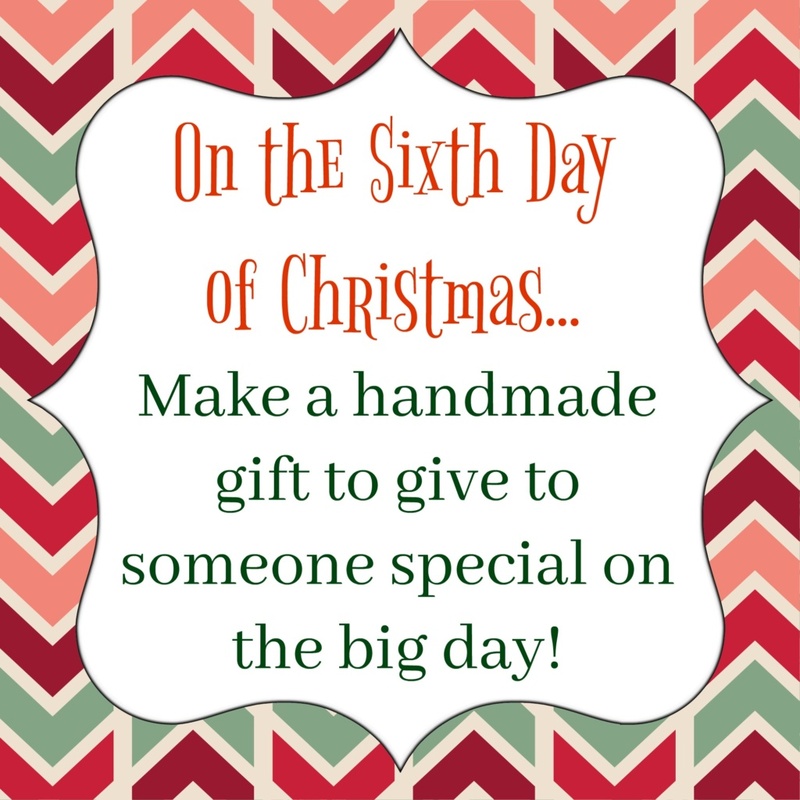 Grab your crayons, stamps, whatever you have on hand and make something extra special. If you need some inspiration, check out this post. This one is a favorite in my family’s household. 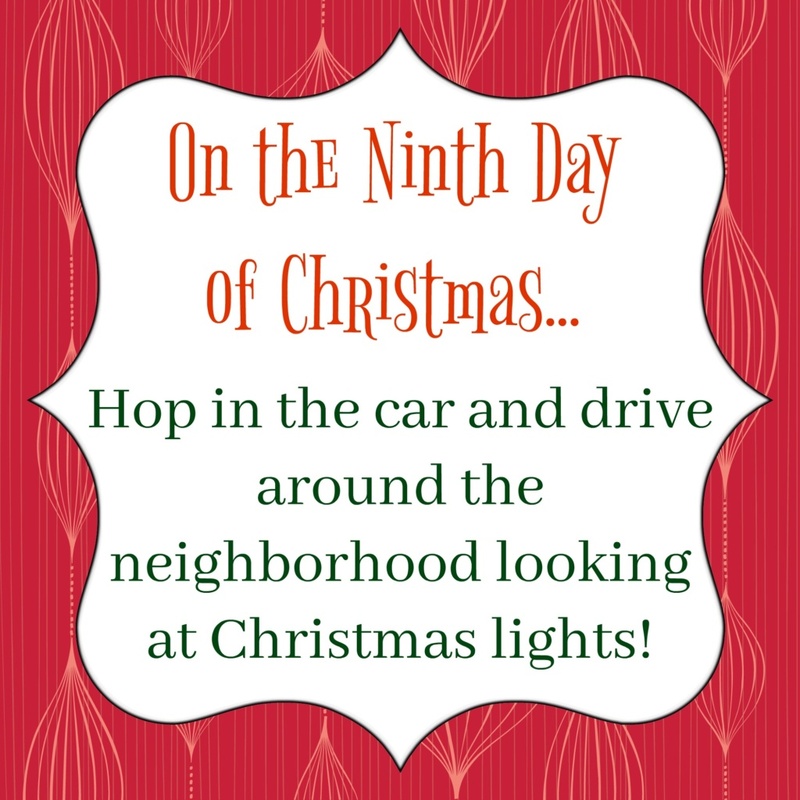 Make some hot chocolate, buckle up and go out to admire the Christmas lights in your neighborhood. 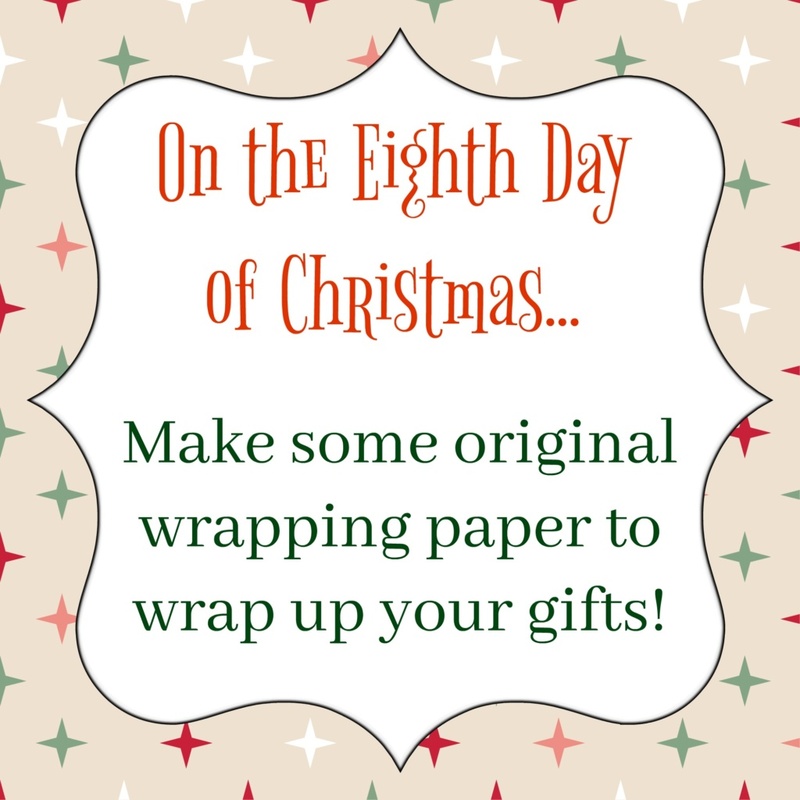 Make it even more fun by turning it into a scavenger hunt! How many Santa’s do you see? Who will find the first Grinch?? We are almost at the big day! 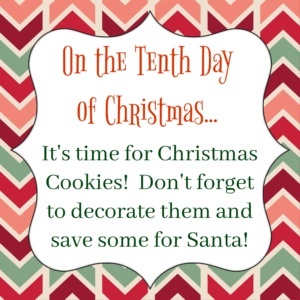 It’s the perfect time to make some Christmas cookies. Here’s an awesome post with a bunch of great one’s try if you’re not sure where to start! This one is important to my family’s house because they host family on Christmas Eve. So the night BEFORE Christmas Eve needs to be chill. 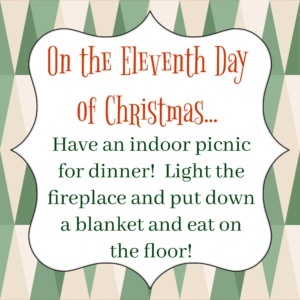 The mom will have been working really hard to get the house ready for guests, so this little picnic can be as simple as pizza or takeout appetizers from their favorite local restaurant. Paper plates will mean way less clean up. This is it! We’re at Christmas Eve at this point, my last night in the house til next year! It’s bittersweet for me cause I sure do love those kids. I have never once had to report bad news back to Santa on these two kids. That is unheard of. I like to reward their good behavior with a little something from me. It might be PJ’s and a book or some special little something they weren’t expecting. They get to open just that one present from me and then I scurry off back to the North Pole to help get ready for next year! Well, thank you, Snowy, for your help with that post! Gosh, I didn’t realize how much thought you actually put into these activities every year. I might just be turning a corner on you, Snowy. Maybe you’re not all mischief after all. It’s very kind of you to bring gifts for my kids and to think of giving me a break on the night before Christmas Eve. WAIT! Did you Jedi mind trick me into thinking that?? ?